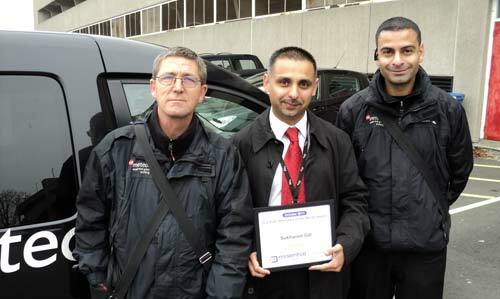 The Car Park Attendant of the Month Award is designed to help us reward the individuals that provide you with an exceptional level of service. A massive thanks to all our customers, especially those who took the time to give such positive feedback to Essential Travel. At EMA we always strive to provide the best customer service possible and it's really gratifying to know that our efforts are being recognised by our customers. 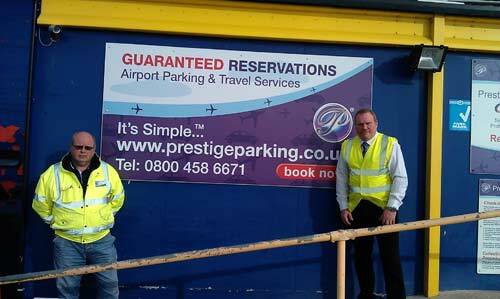 Well done to all the car parking team here at East Midlands Airport. Dear Essential Travel Customers, your positive feedback will only encourage our team members to continue to deliver our recognised service consistently. It is very special and rewarding for our staff members to receive this reward, helping make them feel valued within this competitive industry. The amount of hard work and determination we all put in to make our customer's entry and exit to the airport as smooth as possible is countless, however good team work and important relations are key! 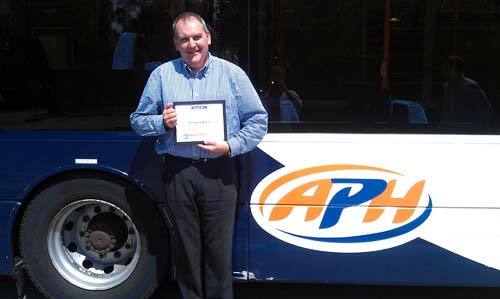 We anticipate more happy customers, and more awards ahead! Thank you to all the customers who praised SACP. 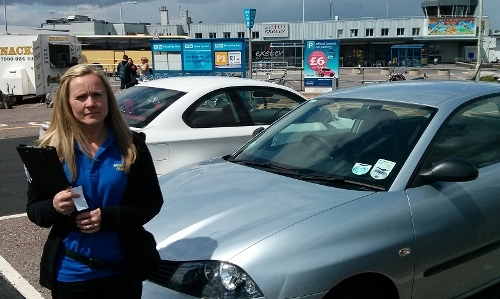 Here at SACP, we strive to give the best customer service possible to make their parking experience at Southend Airport the best they have ever experienced. 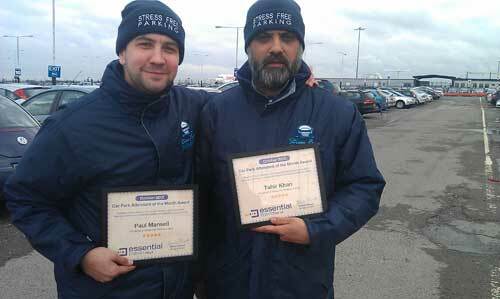 Well done to all our loyal and hard-working employees. 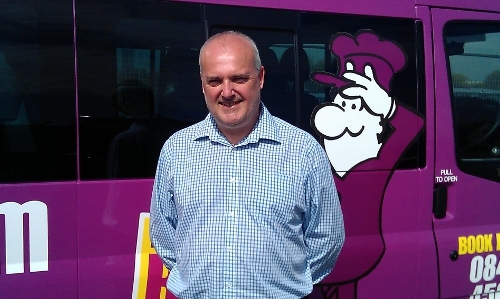 A huge thank you to Essential Travel customers for taking the time out to give their feedback. 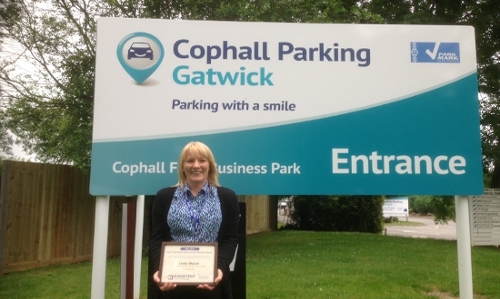 At Cophall Parking Gatwick we constantly strive to achieve excellent customer service levels & hopefully parking with a smile. A big thanks to all our customers who voted for us at Mainyard Parking and also another thank you to Essential Travel for their donation to 'The Huntington's Disease Charity", it is much appreciated. On behalf of Purple Parking I would like to thank Essential Travel for this award with an especially big thank you to all of our customers who have voted for us. 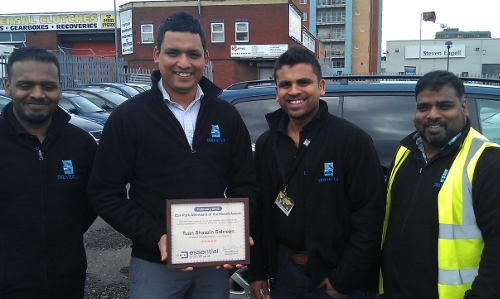 Thanks to Essential Travel for the award, and to all of our customers for voting for us. We wish you a great 2013. 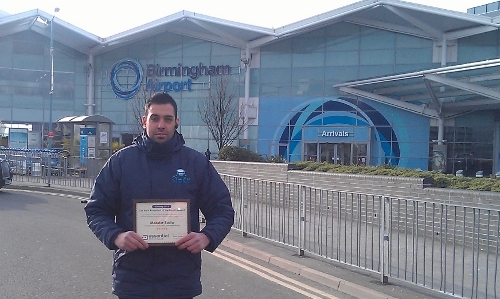 Thank you Essential Travel for this award, also a big thumbs up to all the staff at Head office and here at BHX for all their hard work in achieving this award. Our goals are to improve and build on our customer satisfaction, and also appreciate the clients taking time out to leave feedback. Looking forward to a great 2013! 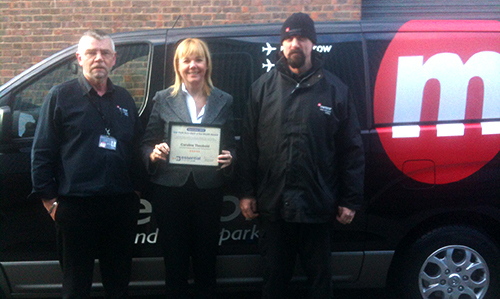 All the staff at Meteor would like to thank the customers of Essential for voting for us. It means a lot to the team to see all of their hard work come to fruition and we look forward to seeing you all again in 2013! Thank you to all of our customers who took the time to send in their reviews that helped towards this award and a very big thank you to all of the team here, for all of their hard work in achieving this. Looking forward to sharing a few biscuits with the team, Thanks Essential Travel! 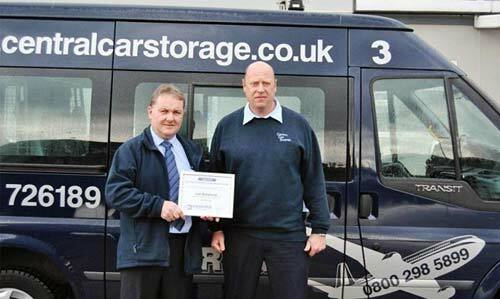 We're thrilled to have been awarded Car Park of the Month and to have received an unparalleled satisfaction rating of 97 per cent. 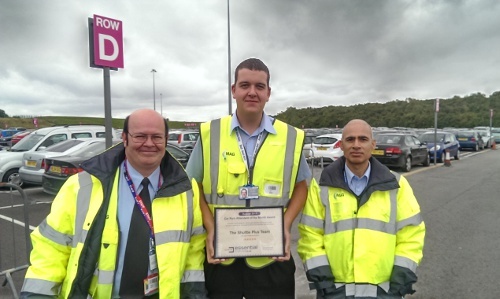 It's good to see that the Luton teams hard work has been recognised and rewarded by our customers for providing them with a Stress Free Parking experience. 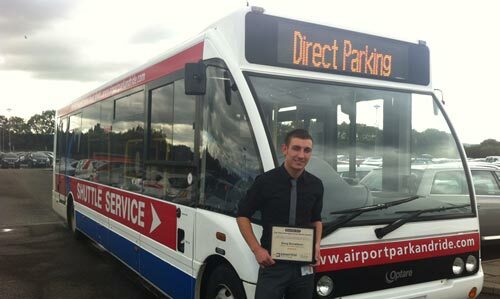 We are delighted to receive this award from Essential Travel as we pride ourselves on delivering the best possible customer service, it is fantastic to hear that so many Essential customers have taken the time to share their positive experiences at Direct Parking. I would also like to take this opportunity to thank all our staff for their hard work and dedication as they consistently go out of their way to provide the best customer care possible. Thank you to all the clients who voted for us. 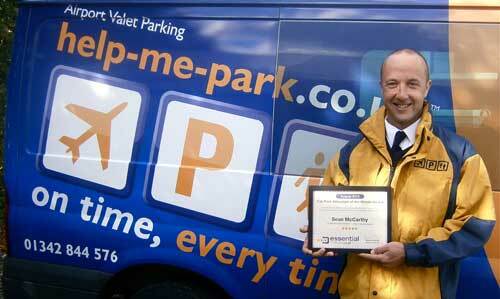 Thanks also go to the guys and girls here at Help-me-park. Without the hardworking, cheerful people here we would not be able to do what we do to the standard we do it. It is on behalf of them that I accept this award. 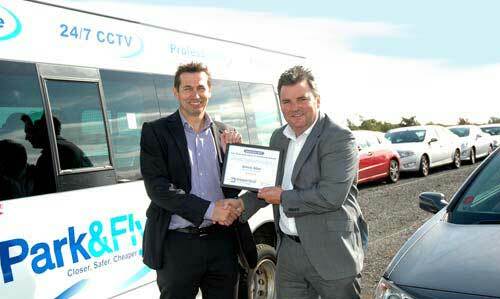 We would like to thank Essential Travel for this award. I would like to express my thanks to all the staff at Stansted for their hard work in achieving this award, and also I would like to thank all the Essential Travel customers for taking the time to respond in such a positive way. This type of award makes all the hard work of my staff worthwhile and we look forward to seeing the customers again. Thanks to all our staff for consistently performing at such a high standard and making customer care the absolute priority. 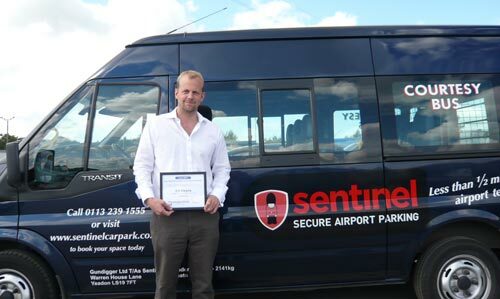 Sentinel is all about service and swift transfers and it's a nice to receive this recognition from Essential Travel customers. 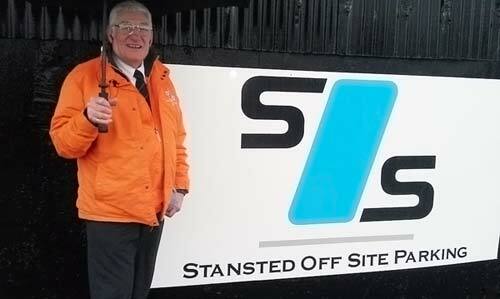 Thanks, it's great to hear that the Silver Zone car park is getting so much positive feedback from your customers, we work incredibly hard to maintain this and will continue to do so! We would like to thank all of our staff for all their hard work in helping us achieve this great award, and thank all of the customers at Essential Travel that voted for us, and we look forward to seeing you again, when you fly from London Luton Airport. Many Thanks to Essential Travel for this award. 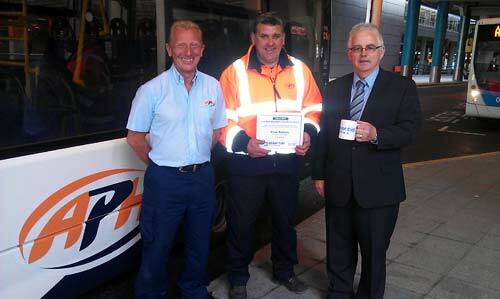 It is nice that the effort put in here by the staff has been recognised by our customers. I am proud to accept this on behalf of my staff, and I would like to thank them for their outstanding commitment to great customer service! Thanks very much for the award. 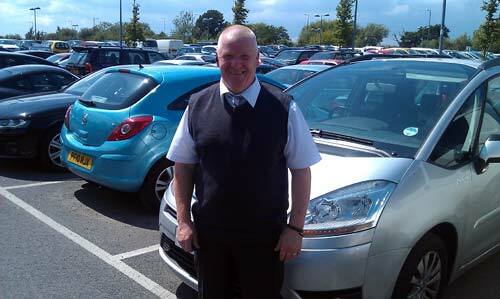 We all work really hard to do our best and make sure our customer's keep coming back. 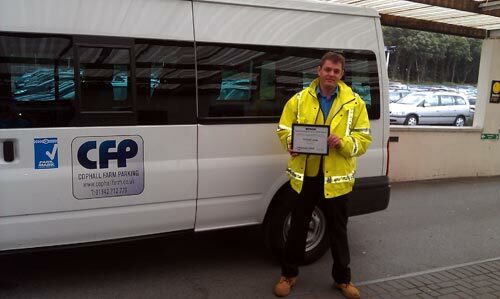 We've never had any damage issues and pride ourselves on our great feedback from our customer's. Quote: It's really great to get the award. I would like to say that this is an award for the whole team. We all work really hard and this could not have been acheived without the commitment of all the guys here. Quote: Great news, thank you very much. We work hard to achieve such a high level of service. Quote: We got the biscuits just in time at lunch time today! Thank you and the rest of your team. Unavailable for comments as currently walking Hadrian's Wall for charity with his staff. Quote: I must say that though that it is a big team effort and I only steer the ship. 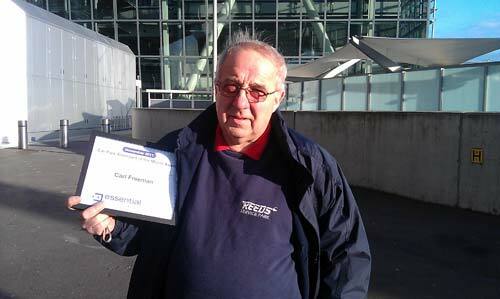 I would be proud however to accept the award on behalf of the team at Manchester. We're from "up north" so we will eat anything (as long as some of them contain jam). Funny parking story: I have a dry/wicked sense of humour and it seems to break the ice with most of the customers we have here. I once had a group of ladies who came into the car park and one of them was scared to death of flying so of course the other ladies were ribbing her about it. So I said to her, "If you're that scared of flying, sit at the back of the plane." She said "Why, is it because it's not as scary at the back?" I said "Not at all, but you don't hear of many planes backing into mountains do you." This had them in stitches and seemed to take her mind off the flying for a little while." Quote: Thank you very much, I am not the only one though, there are lots of others who work very hard here too. Funny parking story: There was this one time where I went to move the customers car, opened it up fine with the button and jumped in. I put the keys in the ignition and the seat and steering wheel began to move and before I knew it I was crushed up inside the car! Turns out the customer had left me with his wife's keys and it had automatic settings for the positions based on the key!